· Emeritus Prof. R. Ben Aim, Ingénierie des Systèmes Biologiques et des Procédés, CNRS, INRA, INSA, Toulouse, France. · Prof. C. Visvanathan, AIT, Thailand. · Prof. Corinne Cabassud, INSA, Toulouse, France. · Prof. Ngo Huu Hao, UTS, Sydney, Australia. 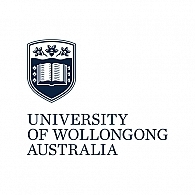 · Prof. Nghiem Duc Long, UTS, Australia. 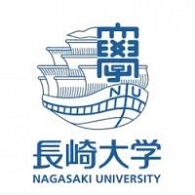 · Prof. Akihiro Tada (vice-president), Nagasaki University, Japan. · Prof. C. Polprasert, Thammasat University. 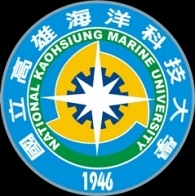 · Prof. C. Lin, National Kaohsiung Marine University (NKMU), Taiwan. · Prof. L. P. Visvanathan, Durban University of Technology, South Africa. · Prof. Mathieu Sperandio, INSA, Toulouse, France. · Prof. C.Y. Chang, Chia Nan University of Pharmacy & Science, Taiwan. · Prof. N.T.K Oanh, AIT, Thailand. · Prof. D. Ludo, Flemish Institute for Technological Research (VITO), Belgium. · Prof. Yong-Soo Yoon, Dankook University, South Korea. · Prof. K. Furukawa, Kumamoto, University. · Prof. Y.H. Lee, Gwangju Institute of Science and Technology, South Korea. · Prof. Tjandra Setiadi, Institute of Technology Bandung, Indonesia. · Prof. Jega V. Jegatheesan, RMIT, Australia. · Prof. Gernot Kayser, TU Dresden - International Institute Zittau, Germany. 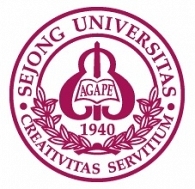 · Prof. Duu-Jong Lee, National Taiwan University, Taiwan. 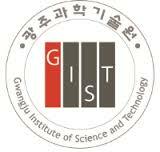 · Prof. Hor-Gil Hur, Gwangju Institute of Science and Technology, South Korea. · Prof. Moo-Young Han, Seoul National University, South Korea. · Prof. Heechul Choi, Gwangju Institute of Science and Technology, South Korea. · Prof. Jih-Gaw Lin, National Chiao Tung University, Taiwan. · Prof. Yoon-Seok Chang, POSTECH, Korea. 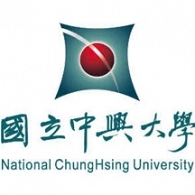 · Prof. Chihpin Huang in National Chiao Tung University (NCTU), Taiwan. 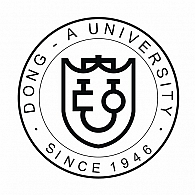 · Prof. Chengdi Dong, National Kaohsiung Marine University, Taiwan. · Prof. Hui-Min David Wang, National Chung Hsing University, Taiwan. · Prof. Zhiming Rao, Jiangnan University, China. · Prof. Yonghong Wu, Chinese Academy of Sciences, China. · Prof. Chart Chiemchaisri, Kasesart University, Thailand. · Prof. Diels Ludo, VITO, Belgium. · Prof. C. Guigui, INSA, Toulouse, France. · Prof. Luiz Felippe De Alencastro, EPFL, Switzerland. 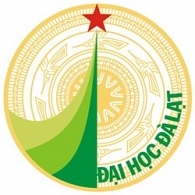 · Prof. Ruey-An Doong, National Chiao Tung University, Taiwan. · Prof. Joseph Tarradellas, International Association of Environmental Analytical Chemistry (IAEAC), Switzerland. · Prof. Ashok Pandey, Editor-in-chief of Bioresource Technology, Elsevier. · Prof. Ganthi S. Murthy, Oregon State University, USA. · Prof. Indu Shekhar Thakur, Jawaharlal Nehru University, India. · Prof. Vinod Kumar Garg, Central University of Punjab, India. · Prof. Milton D (Mickey) Taylor, University of Georgia, USA. · Prof. S. Venkata Mohan, CSIR-Indian Institute of Chemical Technology, India. · Prof. Wolfgang Genthe, LAR Process Analyzers, AG, Germany. · Prof. Sven-Uwe Geissen, Technical University of Berlin, Germany. · Prof. Johannes Wellmann, Technical University of Berlin, Germany. · Assoc/Prof. Thammarat Koottatep, AIT, Thailand. · Assoc./Prof. Vincenzo Naddeo, University of Salerno, Italy. · Assoc/Prof. H. Berg, Stockholm Resilience Centre/SwedBio Stockholm University, Stockholm, Sweden. · Assoc/Prof. I.M. Chen, Chia Nan University of Pharmacy & Science, Taiwan. · Assoc. Prof. K. Hara, Osaka University, Japan. · Assoc./Prof. R. Nitisoravut, SIIT, Thammasat University, Thailand. · Assoc./Prof. K. Puangrat, Naresuan University, Thailand. · Assoc./Prof. 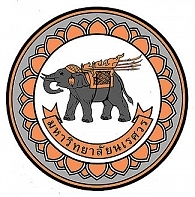 P. Chawakitchareon, Chulalongkorn University, Thailand. · Assoc./Prof. Michi Uwasu, Osaka University, Japan. · Assoc./Prof. Masashi KURODA, Osaka University, Japan. · Assoc./Prof. Katayama Hiroyuki, Vietnam-Japan University. · Assoc./Prof. Dan C.W. Tsang, The Hong Kong Polytechnic University, Hong Kong. · Assoc./Prof. Raj Mohan B., NITK Surathkal, Mangalore, India. · Dr. Wenshan Guo, UTS, Sydney, Australia. · Dr. Klaus Schönenberger, EPFL, Switzerland. · Dr. N. Gratiot, Institut Polytechnique de Grenoble, France. 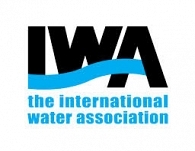 · Dr. Emilie Strady, Centre Asiatique de Recherche sur l'Eau (RESCIF) - Institut Polytechnique de Grenoble, France. · Dr. S. Bang, MIRECO, South Korea. · Dr. L. Shu, RMIT, Australia. · Dr. S. K. Boontanon, Mahidol University, Thailand. · Dr. K. Sombatsompop, King Mongkut University of Technology (KMUTT). · Dr. B. Wichitsathian, Suranaree University of Technology, Thailand. · Dr. H.J. Kim, JIU Corporation, South Korea. · Dr. S. Sthiannopkao, Dong-A University, South Korea. · Dr. W.J. Lau, Universiti Teknologi Malaysia, Malaysia. · Dr. Eldon R. Rene, UNESCO-IHE, The Netherlands. · Dr. Kwang Jin Lee, Kolon membrane, South Korea. · Dr. Jong-Woon Park, Daeyang Enbio, Korea. · Dr. Gopalakrishnan Kumar, Daegu University, South Korea. · Dr. Paiboon Sreearunothai, SIIT, Thammasat University, Thailand. · Dr. Tawach Prechthai, Mahidol University, Thailand. · Dr. Jean-Michel ESPENAN, Polymem president, France. 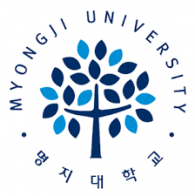 · Dr. Byong-Jin You, Myongji University president, Korea. 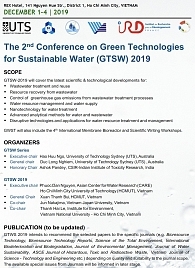 · Dr. Shanshan Chou, Waterpark Environment Corporation, Taiwan. · Dr. Norhaniza Yusof, UTM, Malaysia.